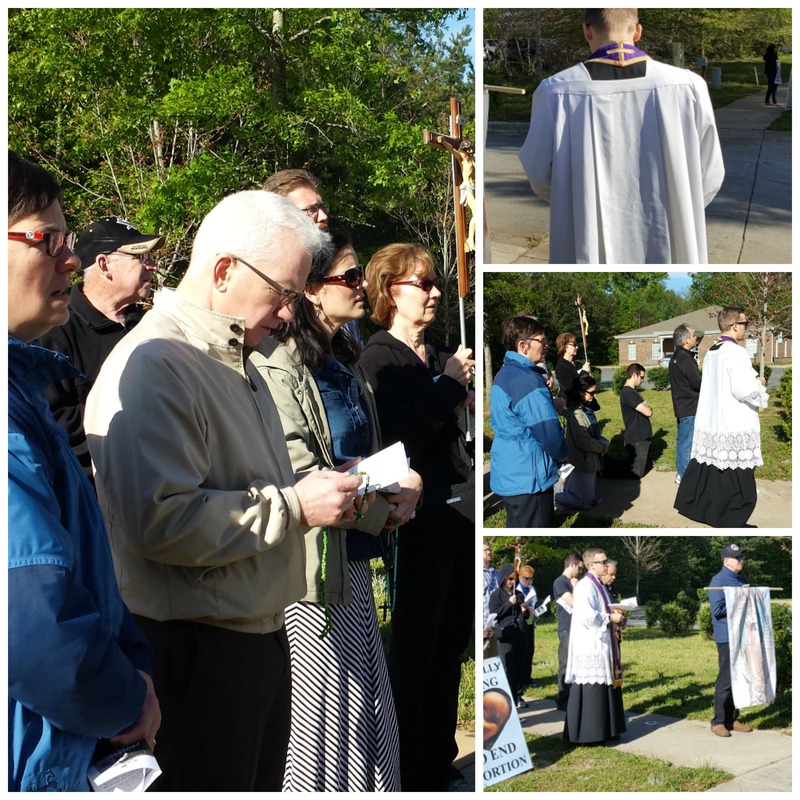 Thank you to everyone who came out to our April Procession for Life with Fr. Barone at Latrobe. 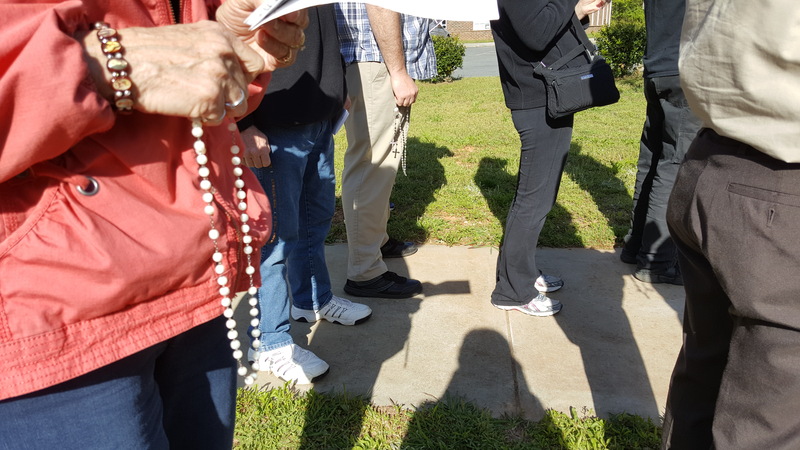 Although we had a very small crowd this month, our prayers and presence was undoubtedly felt and effective. One of the clinic “escorts” came up to film (i.e. intimidate) us and told Father to “go home.” Before we ended our prayer time Father sprinkled holy water and blessed salt along the sidewalk while reciting additional prayers. One day we will see this clinic close down; our job is to show up, be faithful in our pro-life work, and pray. Please join us for our next Procession for Life on July 23rd. 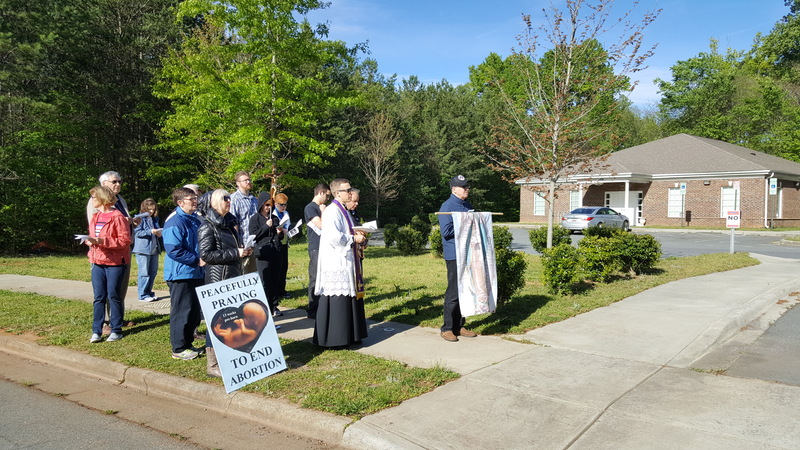 We’ll have a 9am Mass at St. Ann’s followed by a 10am Procession for Life at the Hebron abortion facility (Family Reproductive Health) with Fr. Reid. Mark your calendars!